By Caz | November 29, 2018 | This post may contain affiliate links, which means we may receive a small commission, at no cost to you, if you make a purchase through a link. Read our Disclosure. I’m ashamed to say I did not know much about Townsville before arriving on our Australian road trip. 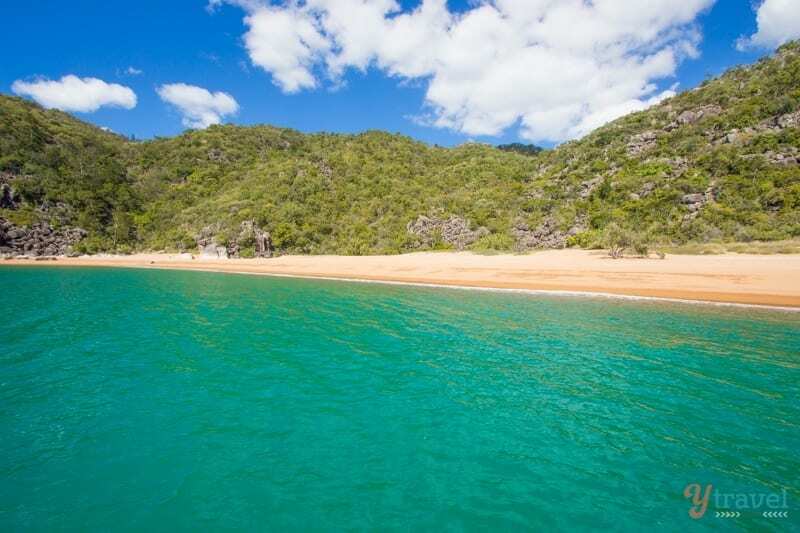 Besides the fact the “Cowboys” football team are based there and it’s the gateway to Magnetic Island. I knew this much because we had friends who, on their trip in Australia, stopped in Townsville and stayed for about two years. So we knew it must have had some things going for it. 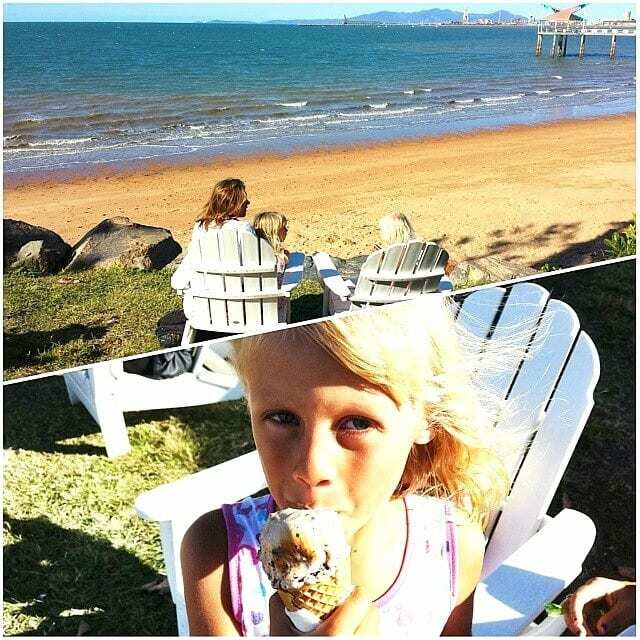 We didn’t know that 27 degrees in Townsville is a normal winter’s day. That it’s Queensland’s second biggest city. That is has a beautiful heritage feel to it. That it’s home to the biggest army base in Australia. That it played a huge role in World War II. 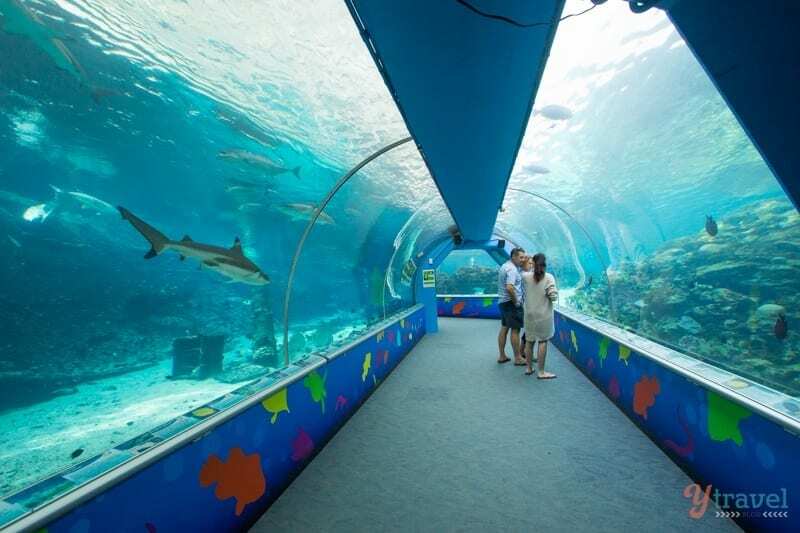 That it has the best Aquarium in Australia. 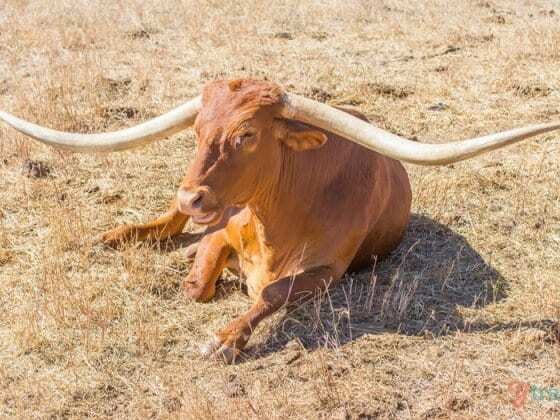 That it’s home to the biggest Texas Longhorns in Australia. And that it’s actually quite pretty. 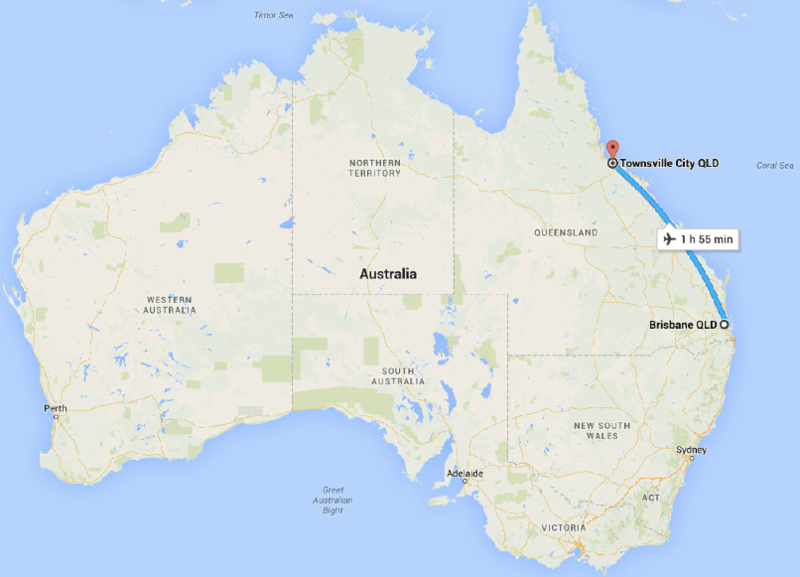 I had no expectations that I would be remotely interested in visiting Townsville. 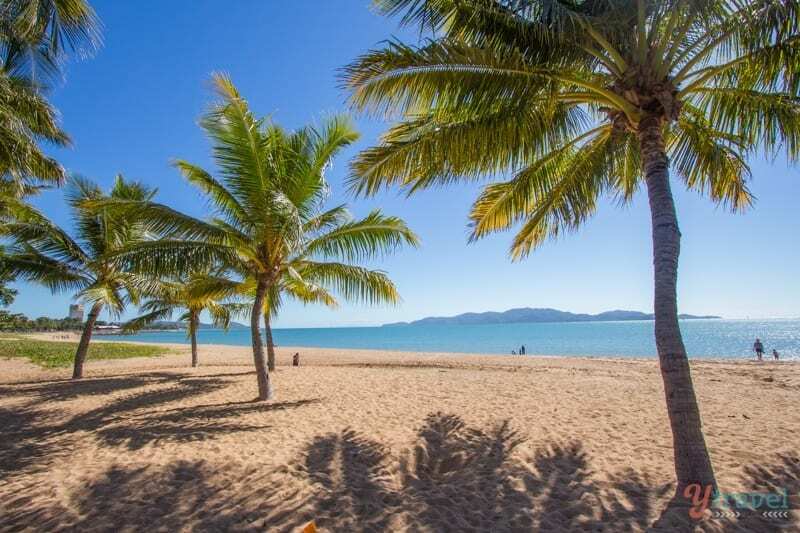 But I actually really enjoyed it and recommend you visit this city halfway between the popular Airlie Beach and Cairns in your travels around Australia. 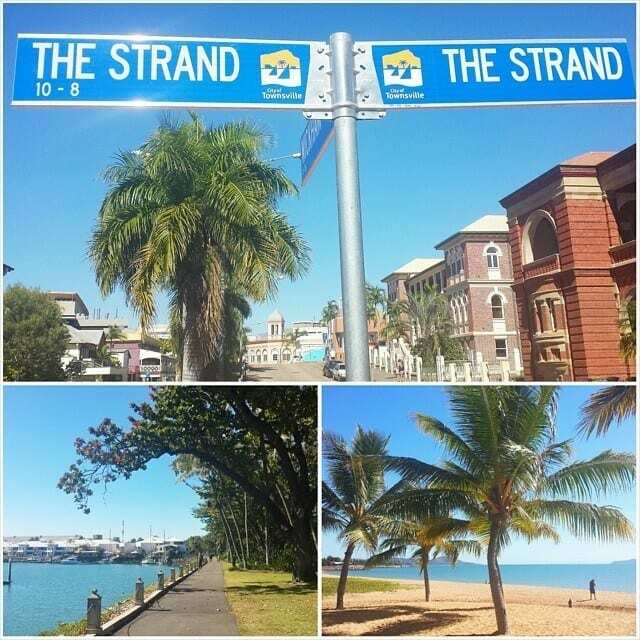 The Strand lifts Townsville up. 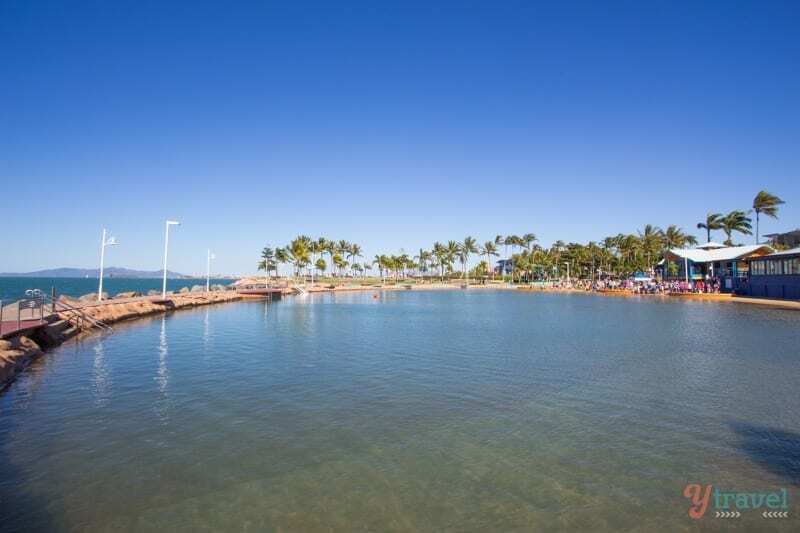 It’s a 2.2km long beachfront playground with water parks and playgrounds for the kids, a lovely walking path, BBQ’s, cafes and restaurants and a public swimming lagoon called The Rock Pool, which is hugely popular and the place to be on one of those hot Far North Queensland days. 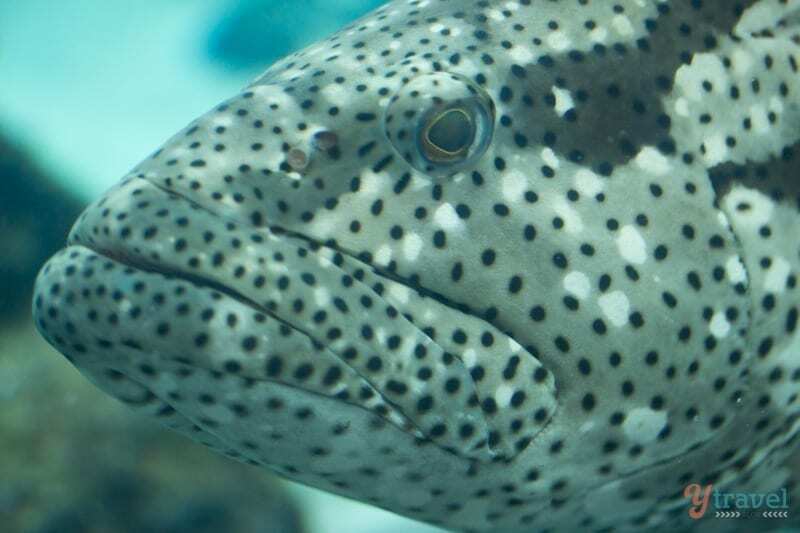 Reef HQ is definitely the best aquarium I’ve been to in Australia, possibly the world. 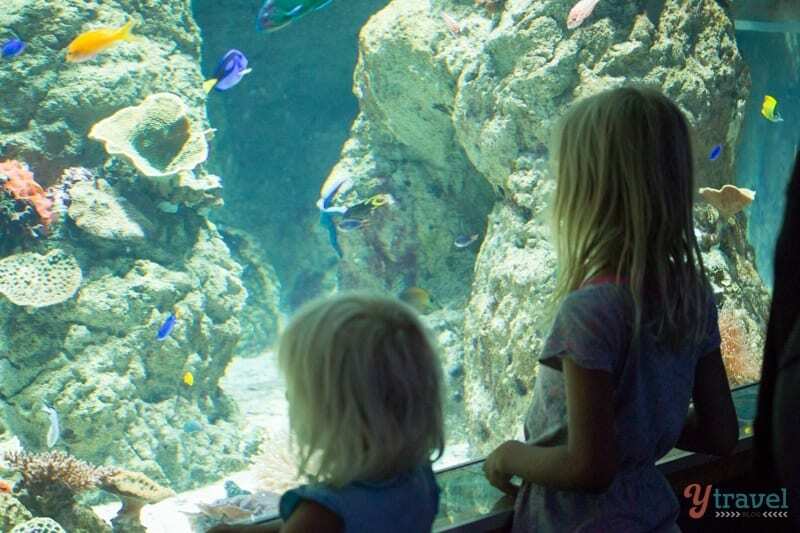 Speaking of the world, it is the largest living coral reef aquarium in the world! 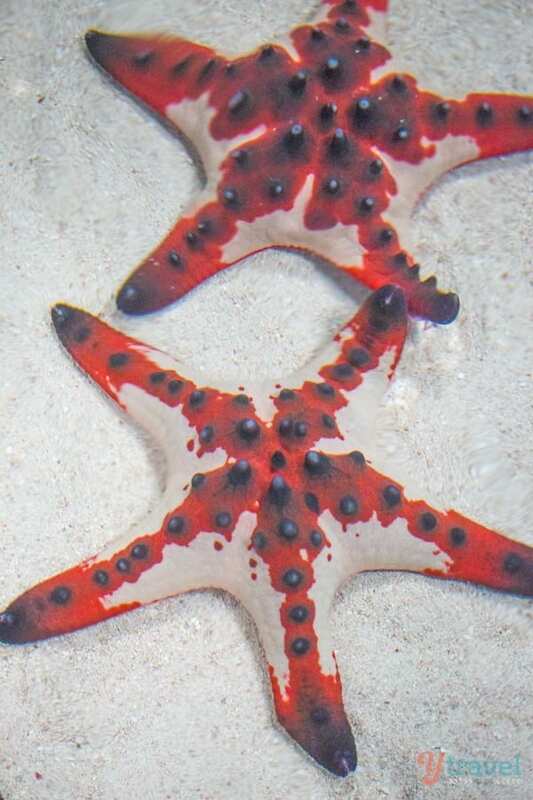 Even if you plan on scuba diving or snorkelling the real Great Barrier Reef, I think this is worth a visit to see the vibrant coral and sea life up close and learn so much about the reef system and the interconnectedness of all living things. I really enjoyed it, and so did our kids. 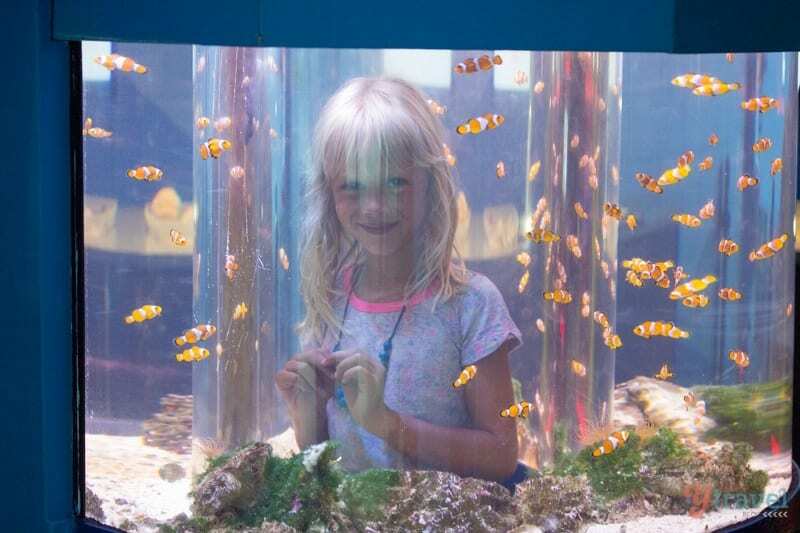 There are plenty of different displays to see all the marine life and there’s also the Turtle hospital. 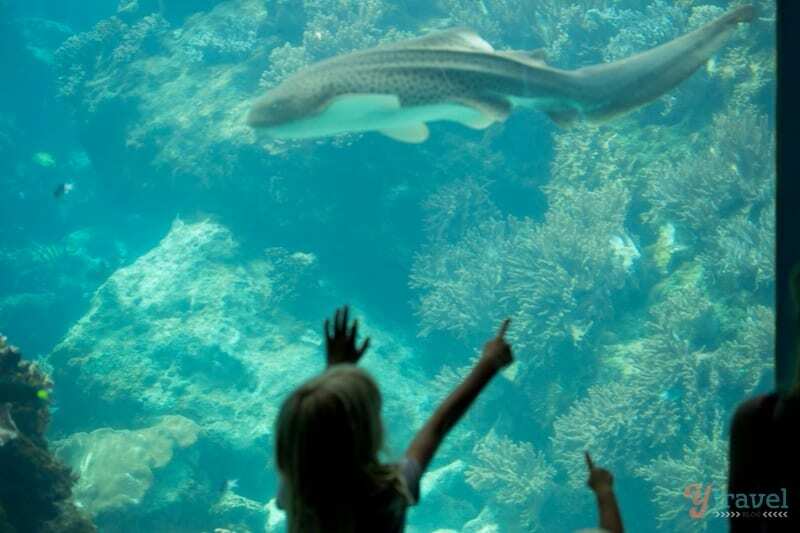 It’s great for the kids to learn about taking care of the animals we live beside and why they are so important – even sharks although they might scare us a little! Castel Hill is the pink granite monolith that makes you sit up and take notice of the city. 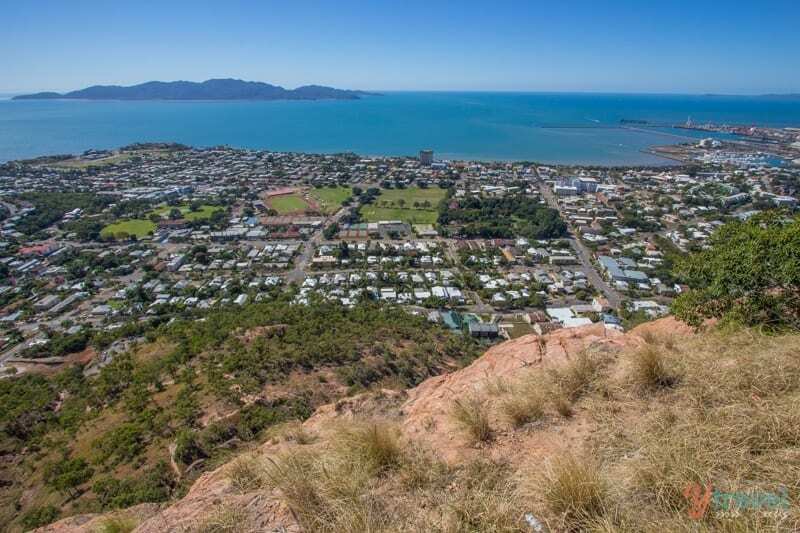 This 286m high rock is the most popular walking trail in Townsville and there are various walking tracks – called the goat tracks that can take you to the top. You could even be like the locals and run up Castle Hill. 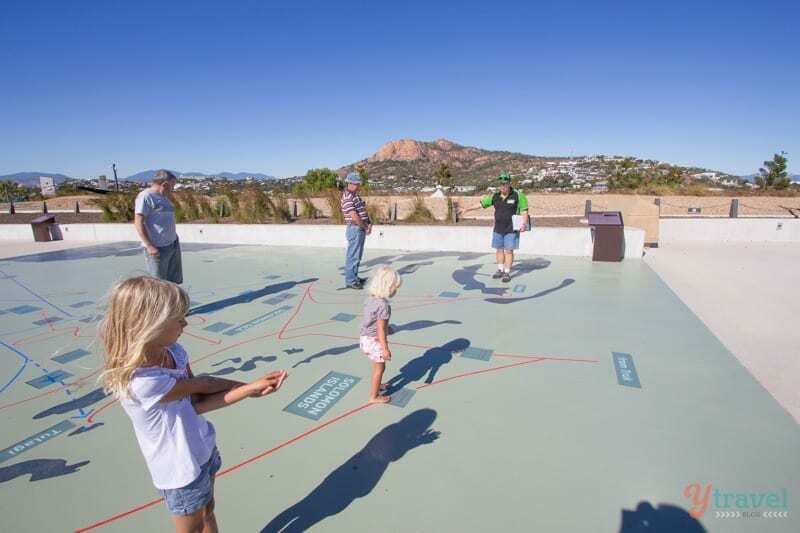 Or if you have kids, you might just want to drive up for the 360-degree views over Townsville and Magnetic Island. 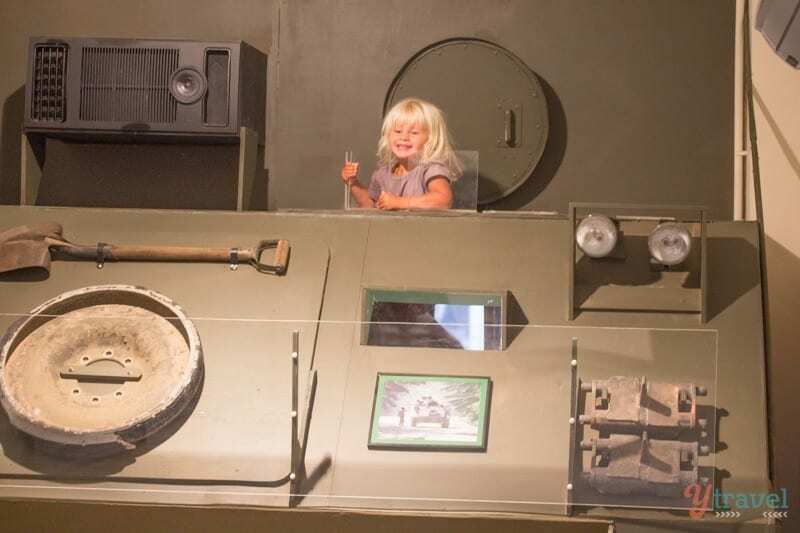 I absolutely loved my half day experience with Townsville Military Tours. I wasn’t expecting such a valuable insight into our nation’s military history from the Boer War II to current operations in Afghanistan. I was sad that during my years growing up we only really heard of Gallipoli when there were so many soldiers and RAF doing heroic things during World War II. 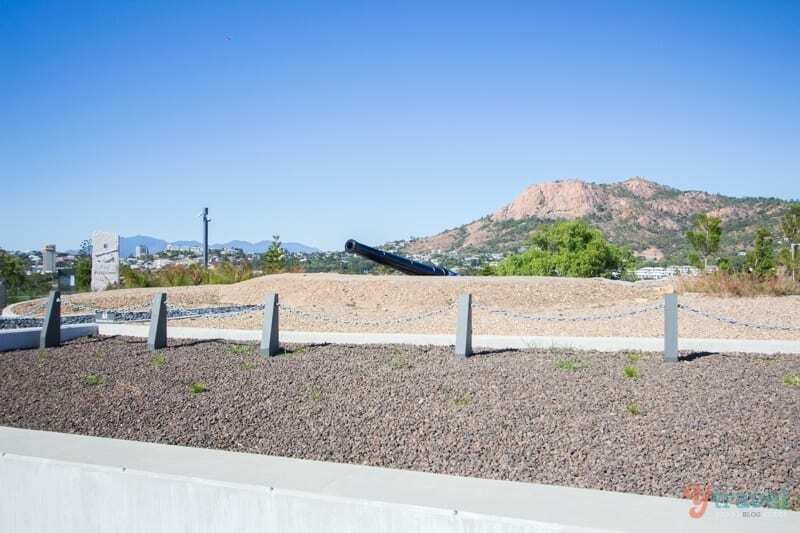 Townsville was very important during the Second World War, and it’s now the biggest army base in Australia. Toby, founder and guide of the tour, comes from a military background and was so passionate and knowledgeable about our military history. Toby made the tour come alive with his stories and had the tears rolling down my face in the first 30 minutes. I was fascinated and walked away with such a greater pride and admiration for the strength and resilience of our nation and gratitude for those who serve. The tour takes you to Kissing Point, the military museum, The Black Hawk Down tragedy memorial site and the military base (outside of it). You stop for cake and coffee at the Tumbetin Tea Rooms in Palmetum Gardens. 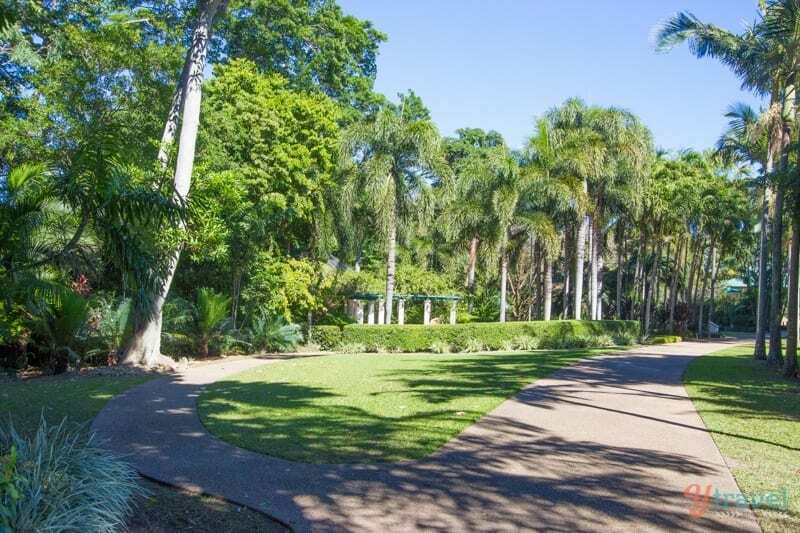 Palmetum Gardens is one of Townsville’s four Botanical Gardens. It’s a 17-hectare botanic garden displaying one of the largest and most diverse public collections of palms in the world – 300 species of palm, many rare and threatened, and includes most Australian palms. I only visited Palmetum briefly on the Military Tour. I loved the tranquility and jungle feel of the park and especially the memorial to the victims of the Black Hawk Tragedy that happened in Townsville in 1996. 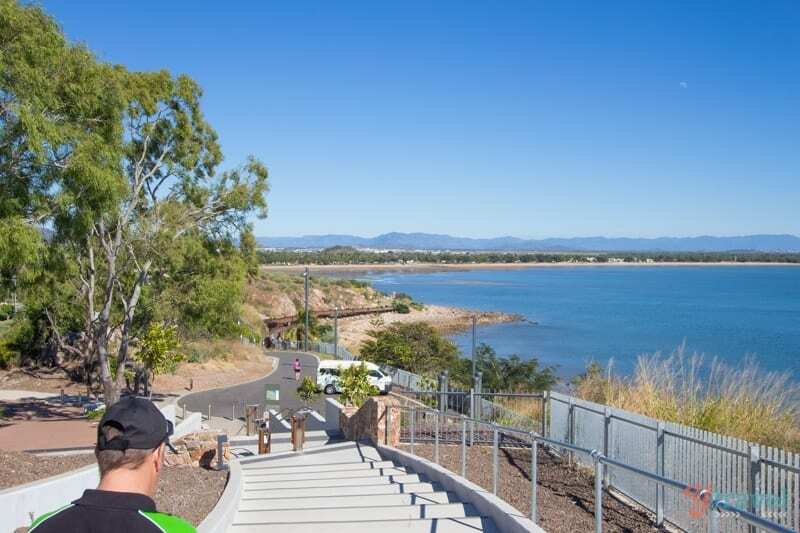 The Kissing Point Fort has been turned into a lovely area for the community to enjoy with walking tracks and views out over Magnetic Island and Cleveland Bay. There are plenty of old gun replacement bunkers and tunnels here for the military history buffs. A new boardwalk that runs around to nearby Rowes Bay is now open. 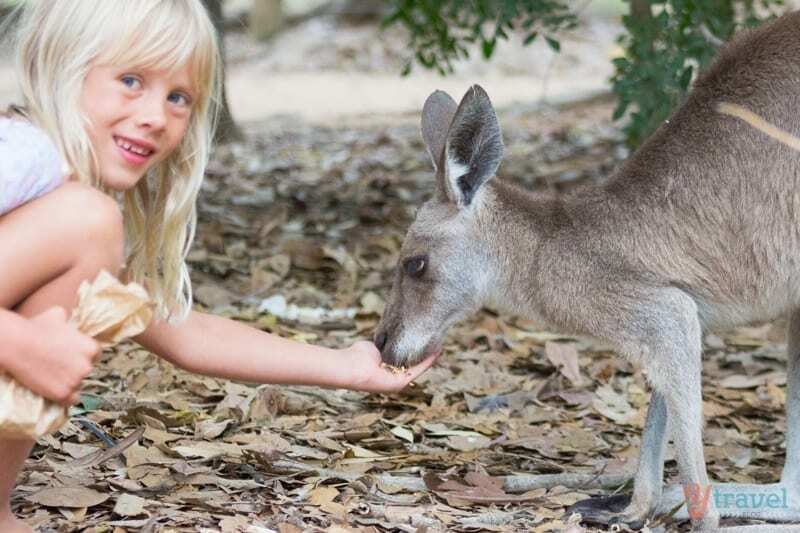 If you’re looking for an interactive wildlife experience with Australian animals then head out to the Billabong Wildlife Sanctuary about 20 minutes outside of Townsville. It’s a tranquil tropical bush setting by the billabong. 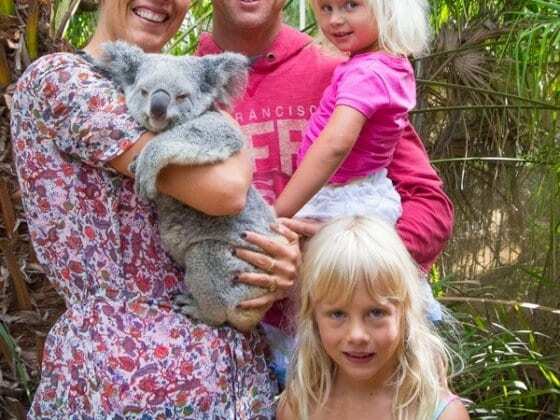 There are interactive wildlife shows all day and bring your camera as you can watch turtle races, pat a dingo, see some croc feeding, feed some kangas, and cuddle some koalas. 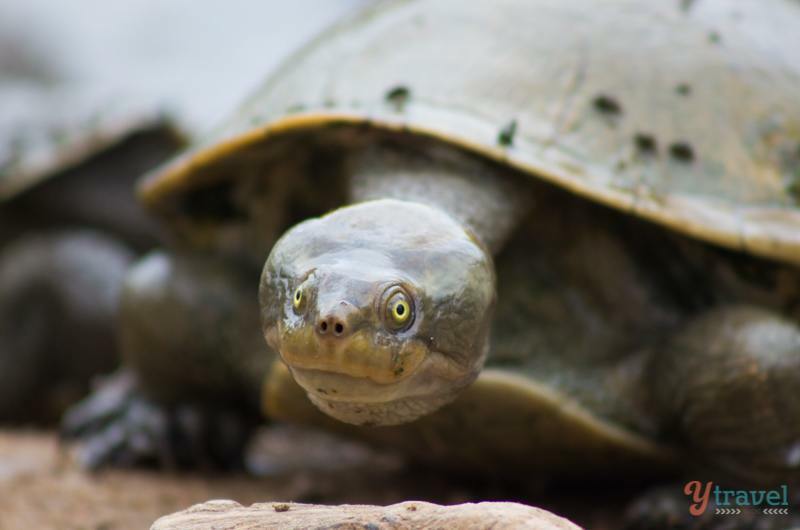 It’s well worth taking the short 25-minute ferry across to a small island full of wildlife, stunning beaches, hiking tracks and the chance to pause time for awhile and just kick back and relax. You can read all about our time on Maggie here. 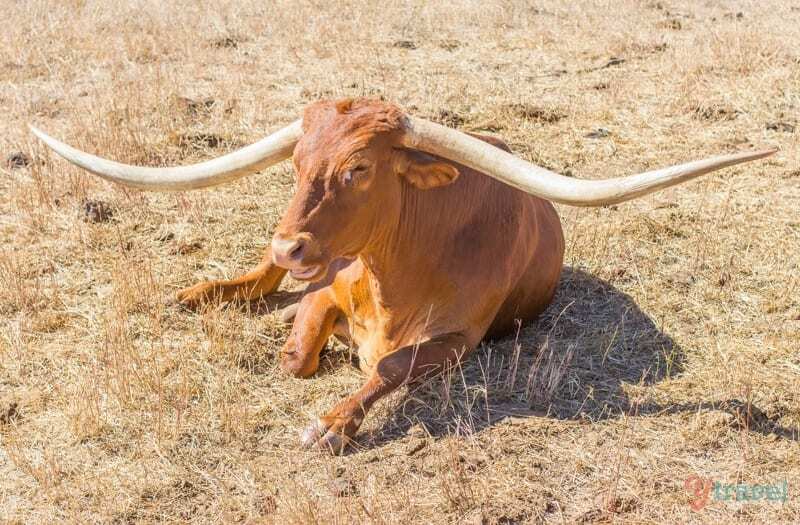 Only a two-hour drive from Townsville is the Texas Longhorns experience just outside of Charters Towers. We found it fascinating and we loved the hosts Mick and Lynda. They were so hospitable and fun and are truly passionate about their cattle and showcasing it and the stories with their guests. You can read more about our Longhorns experience here. 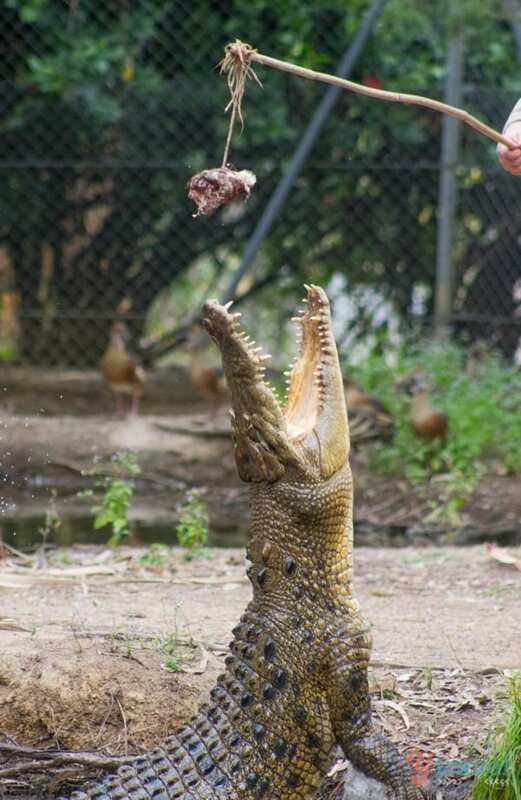 Our local friend from North Queensland insisted we have to go to Juliette’s. It’s an institution for gelato and coffee. The ice cream comes in many weird and wonderful flavours. There’s a cafe and a smaller kiosk along the Strand. Great water views and good coffee to be had at Cbar. We didn’t stop here for lunch, but we enjoyed the raisin toast with our cuppa. 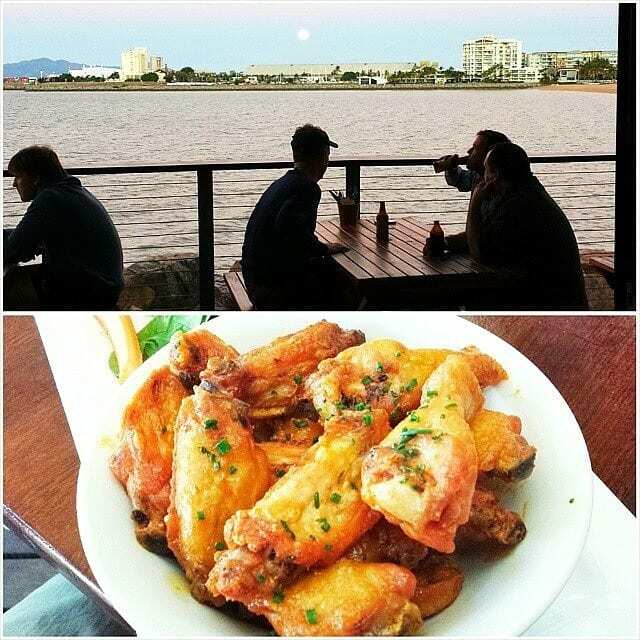 If there’s a brewery in town you’ll typically find us there, and The Townsville Brewery didn’t disappoint. The building itself is impressive and full of character, it’s in the old post office, and whilst we didn’t eat here we dropped in for a beer and really enjoyed our couple of pints of local craft beer. City Lane is a newly opened laneway in the city centre, and Townsville’s first creative precinct with funky bars and eateries, including my favourite, the Paleo Cafe. That place on Sturt was just up the road from our apartment in Townsville and right next to the cinema. Their coffees were awesome and I couldn’t help but sneak a couple of raw, healthy chocolate bliss balls every time I ducked in there. The new area up the other end of The Strand Jezzine has just opened and is a gorgeous new public space with parklands, interpretive signage and info about the history of the site and a boardwalk that connects The Strand around to Rowes Bay. I lived there for 10 years so have a few suggestions to where the ‘locals’ go, which includes the Mingela Pub on a Sunday, Alligator Creek, crystal creek, yongala wreck (if you scuba dive), tea rooms at Harvey range road (sorry can’t remember the name), mingala rodeo if it’s on, fishing, military museum at Jezzine barracks, good pub lunch or dinner at centenary hotel in pimlico. And if at all possible, a romantic dinner for two at Wayne & Adeles garden of eating. Get out to Ross River, great pub right on the river plus massive pools, all free, pool not pub! Paluma for a day trip, ride down to Pallerenda for a unique view of maggy and Townsville. The Australia hotel across the bridge, great pub! We stayed in two separate Townsville properties during our visit. The first couple of nights was at the Grand Hotel and the location was very central, right on Palmer Street surrounded by several good cafes and restaurants and an easy walk to the CBD. Then we stayed at first ever Airbnb property, in the centre of the city and easy to walk to shops and restaurants and being right near the cinema was a bonus with two children. The bus stopped right across the road which made it very easy to get to the Strand – although it’s also walking distance. 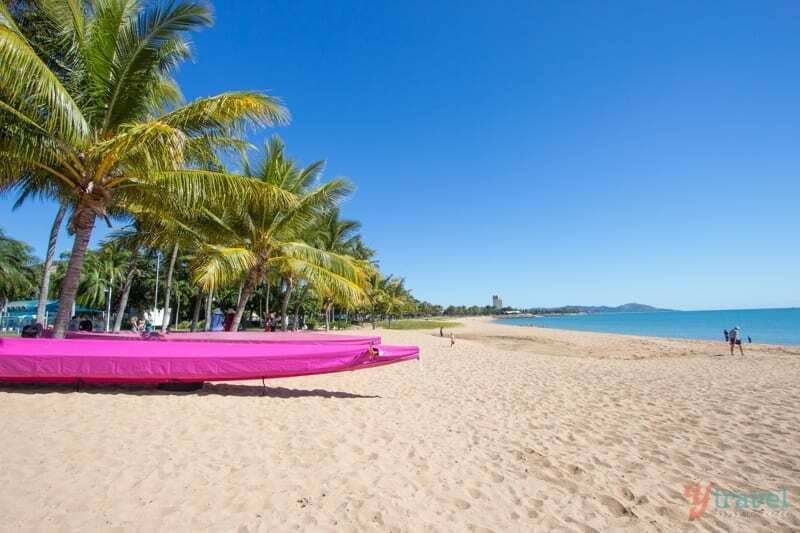 Townsville is a two-hour flight from Brisbane and a four-hour drive south from Cairns. We visited in partnership with Tourism Queensland. 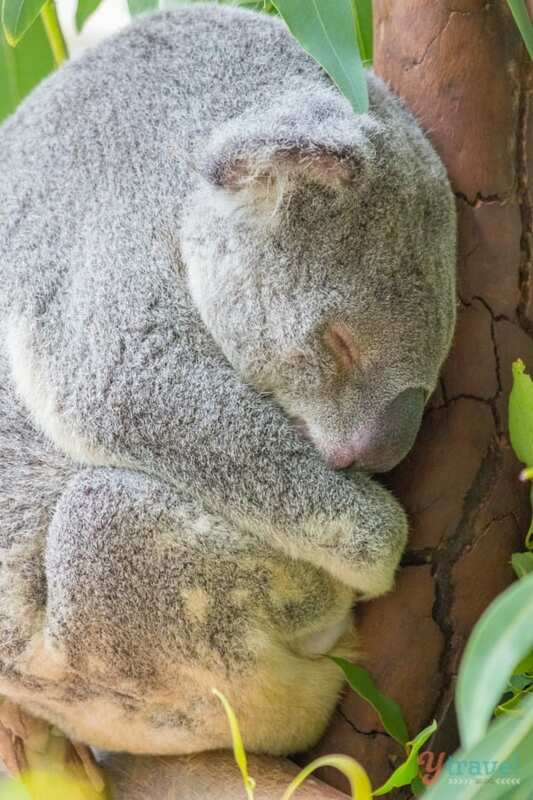 Check out our Queensland page for more travel advice on places to visit within the state. 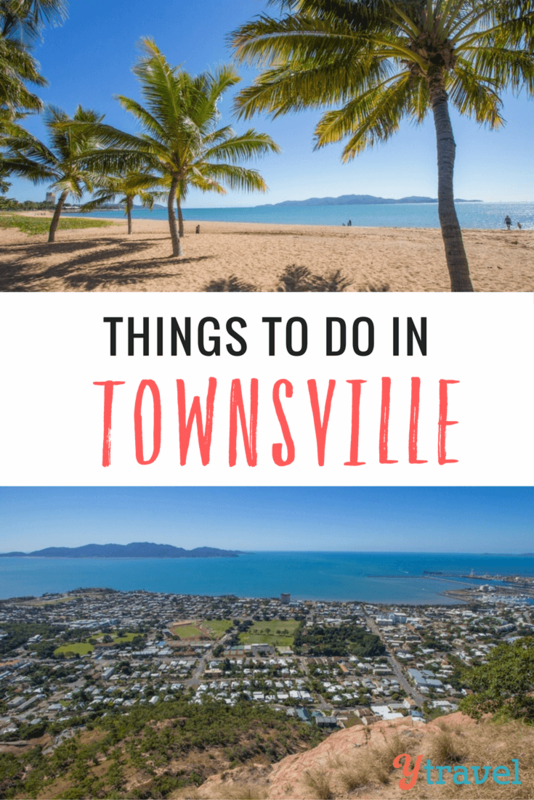 Do you have any tips on things to do in Townsville? 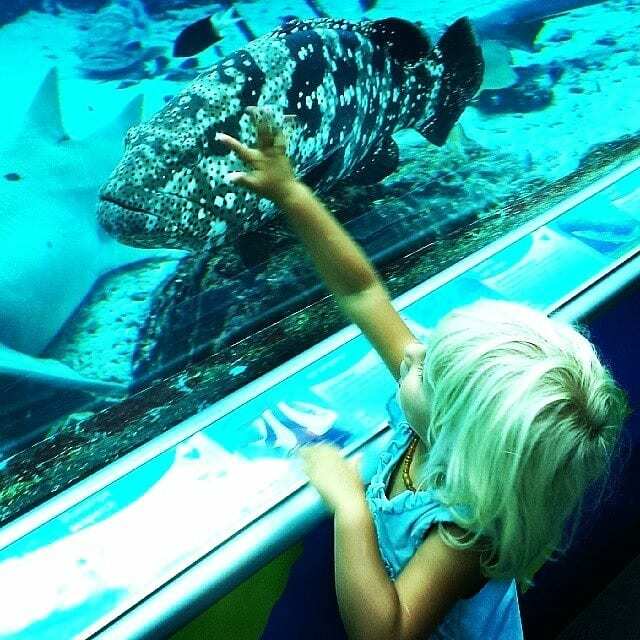 I will be visiting Townsville next year and your photos have made me even more excited. 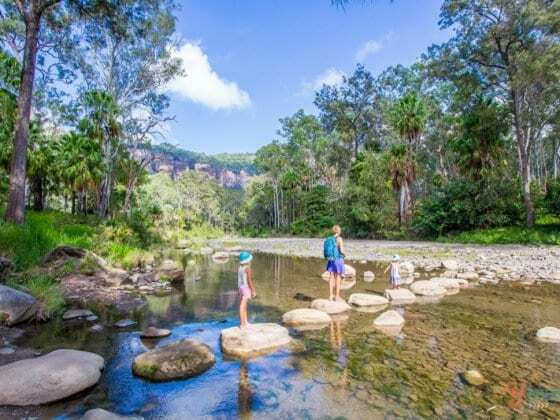 We run a B&B at Alligator Creek and it always amazes me that people have such a poor view of Townsville – ‘I had no expectations that I would be remotely interested in Townsville’ which, as you found is TOTALLY unjustified. SO often we get people booking with us for one night having decided that there is ‘nothing to do’ – then they leave feeling so upset that they hadn’t allowed for a longer stay. I think that one problem is that we don’t have a dedicated Tourist Board working for us – but as you discovered we really live in a very underestimated and totally gorgeous area. Wednesday evening , Twilight Sail from the Townsville Yacht Club in Plume St . 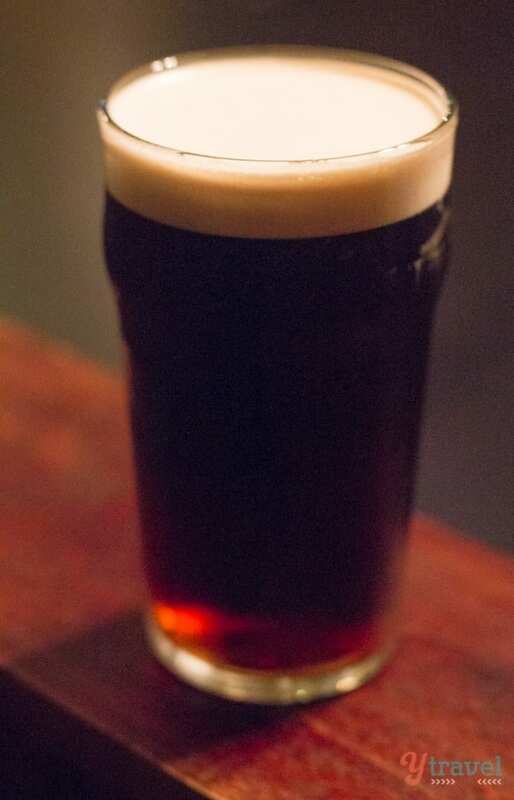 Chance your arm , come down about 5 pm , put your name on the whiteboard and hopefully you will get placed on a boat for a pleasant course race with music and beer (byo ) and a chance to mix with the locals . If you don’t get aboard you can always stop for a beer etc and the food is great with the best eating view in town ( in my opinion ) . Enjoy our town ! Wow! Must say you had an amazing family vacation at Townville. It is always great to know experience of visiting a new destination. You planned your trip very well, enjoying a mix of all from wildlife to army side visit. Thanks for sharing it!